City of Djinns is one book I had heard a lot about and had been wanting to read for quite some time, though my laziness always came in the way and I never really got a chance, till a few days back, when I became a member of a library service, which delivers books to home (more about that later). When I first started reading City of Djinns, there was a thought in the back of my mind, that all that hype that I had heard about this book, might just be untrue, thankfully it wasn’t! 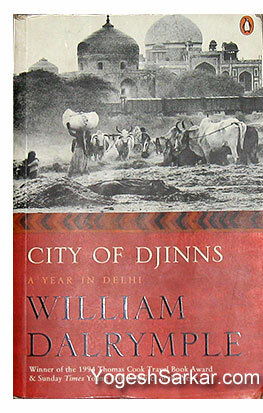 In fact, within a few minutes of starting to read City of Djinns, I was laughing merrily, something which remained a part of majority of my reading, thanks to writing style and tone of William Dalrymple and characters he encounters. Of course it is not all laughing matter, the book is actually quite a history lesson about Delhi and is very well researched and presented. Though in the beginning, the writing style seems extremely choppy. However, later on everything falls in to place and one is treated to history, like never before! From the pre Mughal era to British rule to the time of arrival of the author in the 90s, City of Djinns catalogs each and every bit in a manner that can make one want to major in history and I guess I probably would have, had our history books been so entertaining and educating! While most sites categorize City of Djinns as a travelogue, I would term it more as a novel based on the history of Delhi and Delhiites, as anything less would be an insult to the effort, which has gone into writing this marvelous book. Which managed to show me, a Delhiite by birth, many facades about my home city, about which I was completely unaware! Of course it does touch a few sensitive subjects and at times can even hit a nerve especially if you are an Indian and Delhiite; however remain assured that no one is spared and almost everyone is treated to the same pill. One aspect I really didn’t like about this book was the fact that there is little about history of Delhi, before Muslim invaders came and conquered it, which is kind of understandable, since majority of the historical buildings and records before them, were destroyed by those invaders, kind of like the 67 temples, which were razed to the ground, to build the first mosque in Delhi! In fact that is one part of the history of Delhi; I would love to see William Dalrymple write about, because without that, any book on the history of Delhi would forever remain incomplete! Barring this shortcoming, City of Djinns is a treat to read and is a must read if you are a travel enthusiast and a Delhiite. In fact, after reading this book, I am thinking of reading other books by William Dalrymple, in particular White Mughals, just because I liked the way he writes! It’s a very good book, IMHO. 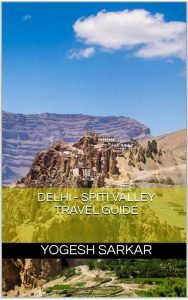 Although the shortcomings, as pointed out by you, leave a delhiwala wanting for more; WD is a very good travelogue writer and constricts himself to factual history. 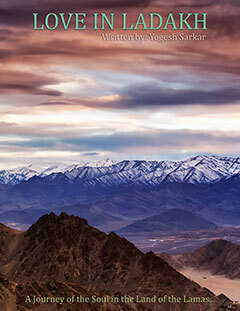 Please give his From the Holy Mountain: A Journey in the Shadow of Byzantium and In Xanadu (about the silk route from Jerusalem to Mongolia) a shot. Trust me you’ll enjoy the travelogues.